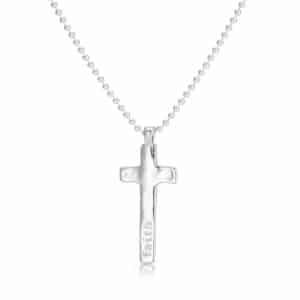 Stylish sophistication for the modern man, this Personalised Silver Maxi Cross Pendant Necklace will add the finishing touch to all smart-casual looks. 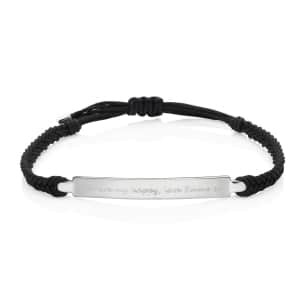 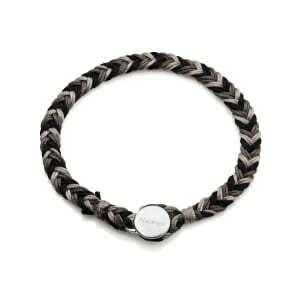 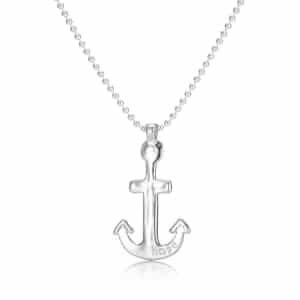 Handcrafted in hallmarked sterling silver, it includes a heavyweight bobble chain, similar in style to those used on military dog tags, and a stunning cross shaped charm that has our signature organic textured finish. 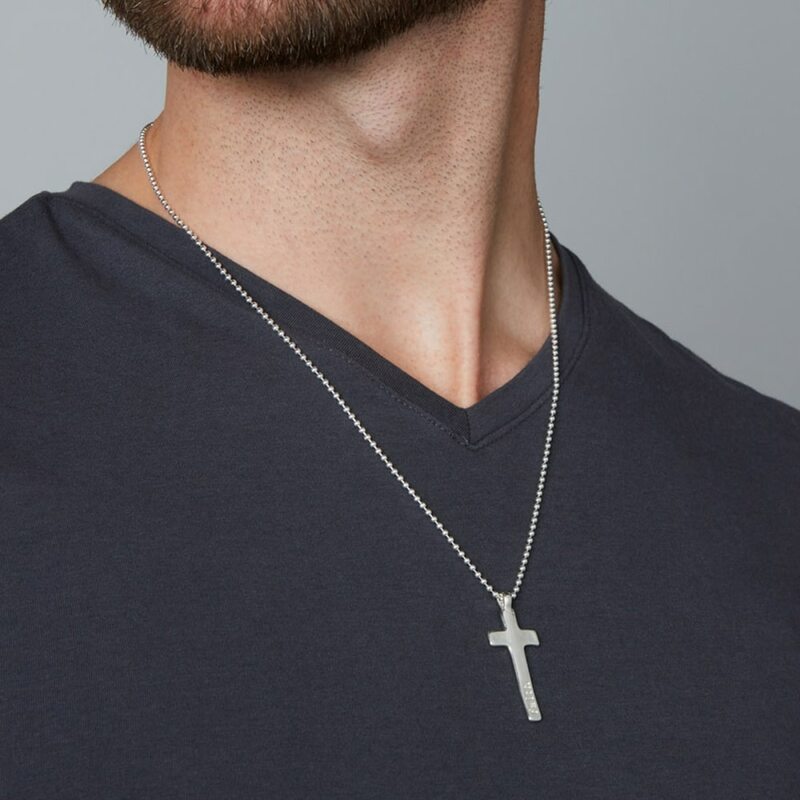 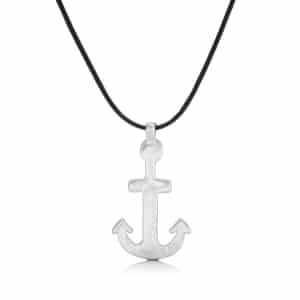 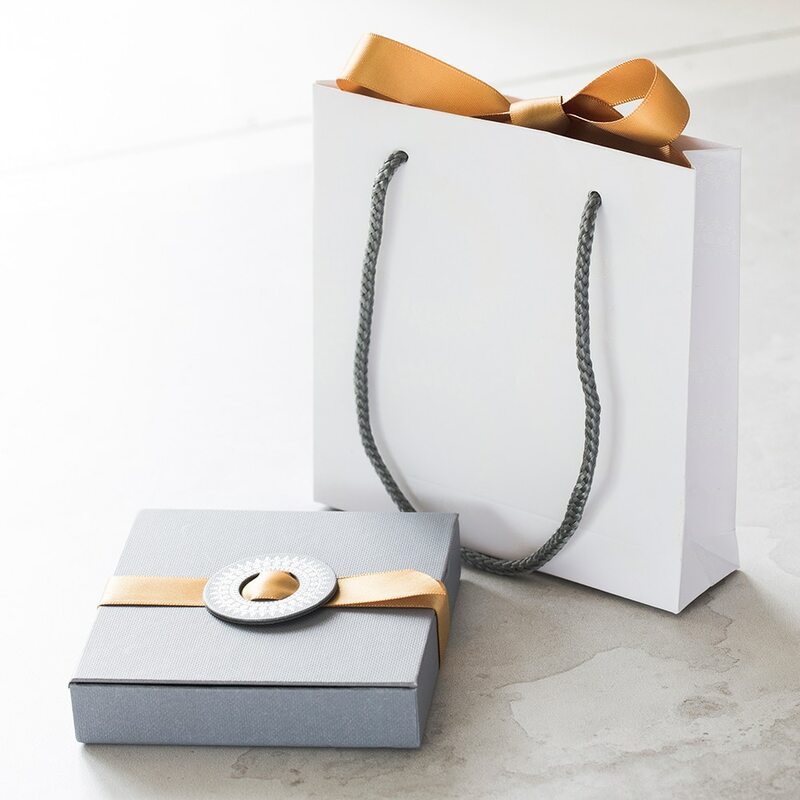 Effortlessly masculine and eye-catching in design, this Men’s Cross Pendant Necklace remains a popular gift choice for boyfriends, best friends, and brothers, and a stunning keepsake for christenings and weddings. 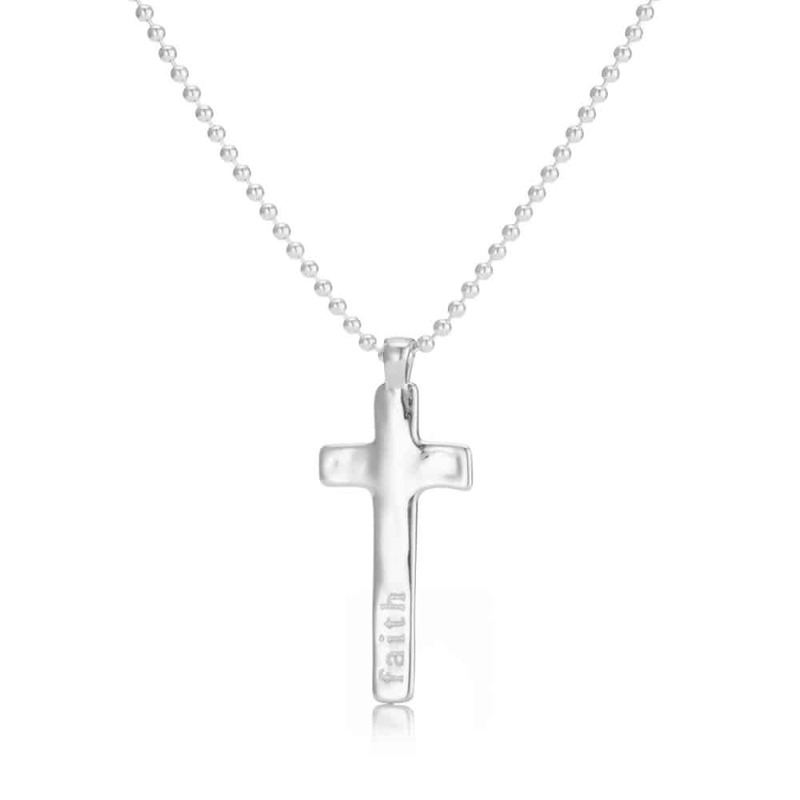 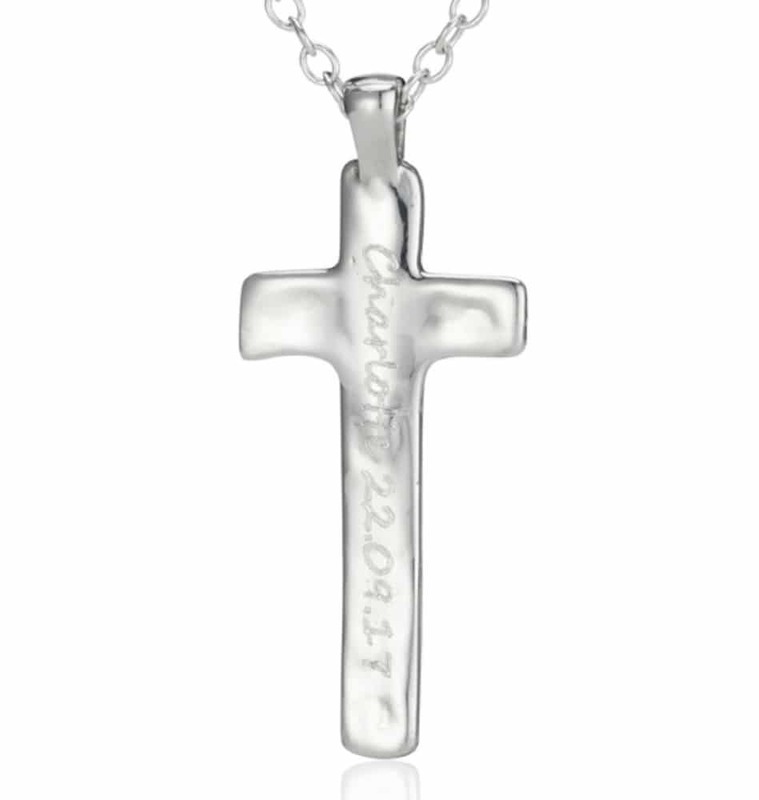 Add your own touch by personalising the reverse of the cross with a name, a special date or short message, which we will engrave to order.